Sacred Hearts Academy - The Blog: Leo Club Hosts Osaka Venture Scouts "Rainbow Camp"
Leo Club Hosts Osaka Venture Scouts "Rainbow Camp"
A group of 10 Sacred Hearts Academy Leos, along with 2 of their Kalani Leo sisters, joined a group of Venture Scouts from Osaka for dinner on Sunday, March 22 at The Clarence T.C. Ching Student Center. 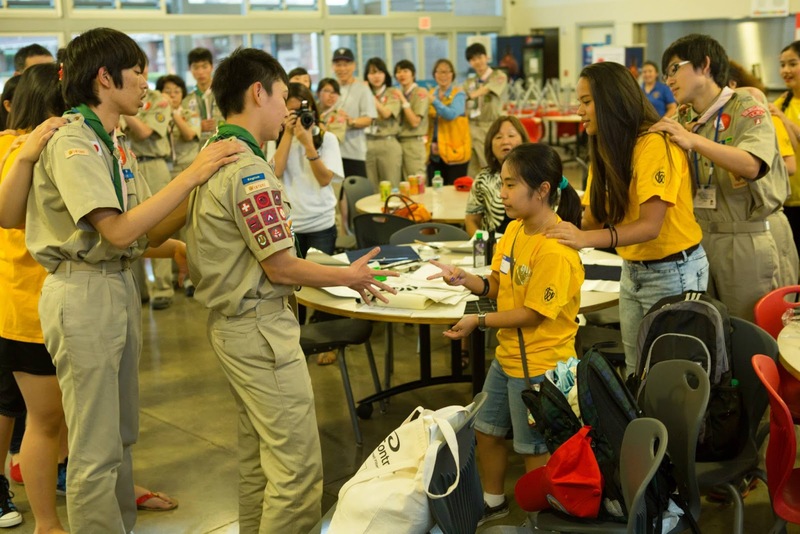 For about twenty years, a group of Osaka Scouts have been coming to Hawai’i for their weeklong “Rainbow Camp”. However, due to the current economic situation, this will be the last Rainbow Camp for the foreseeable future. The Leos worked extra hard to make this last trip as memorable as possible by providing homemade desserts, entertainment, and games. 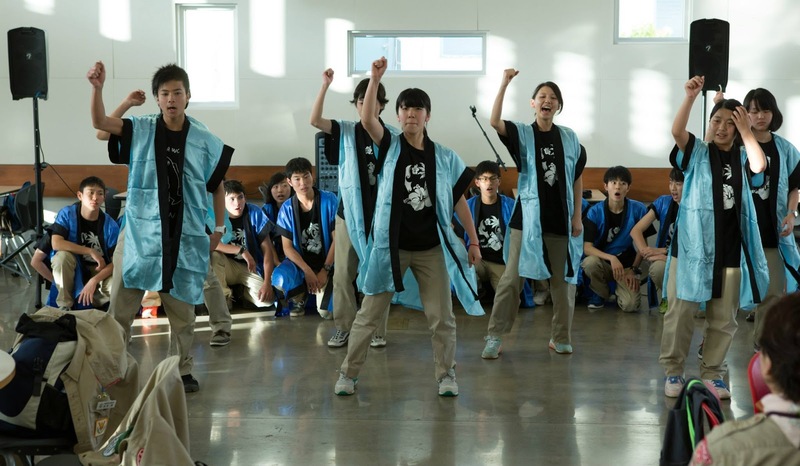 The Scouts reciprocated by providing demonstrations of calligraphy, tea ceremony or urasenke, their Hinamatsuri (Girl’s Day) celebration activities, and a rousing performance of the popular song, “Soran Bushi”. A highlight of the evening was the induction of two of our newest Lions: Alyssa Kwan, ‘15 and Victoria Lee, ’15. Special thanks to the Kamehameha Lions for organizing this event. 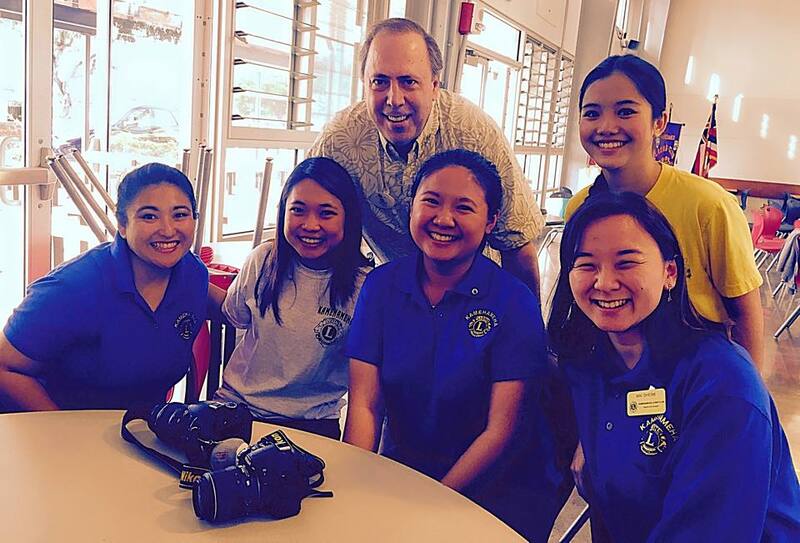 Extra special thanks to our Leo-alumni-turned-Lion Mai Shiomi, ’11; Sherry Wong, ’12; and Kasandra Kitagawa, ’14.